Texas Cancer Information - Where do I go if I am uninsured or have a low income? The Access to Cancer Care for Low-Income and Uninsured Patients database is intended to reach low-income or uninsured Texans seeking free or low-cost cancer screening or treatment. Texas Cancer Information staff investigated procedures, contacts and clinic locations for screening and treatment for every Texas county. Information on how to obtain cancer care services in each of these counties is now available in English and Spanish. Social workers or volunteer organizations can also print out this information to give to their clients. Inclusion in any of the documents is not intended as an endorsement of any individual, provider, service or Web site. 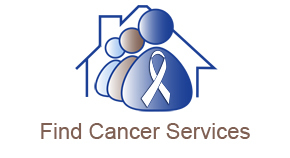 Please see the General Guidelines for Low-Income or Uninsured Texans Seeking Cancer Care (updated April 2019) for general information about cancer resources in Texas. Access to Cancer Care by Texas County - Where can I get care? We hope this information is helpful if you are looking for cancer treatment or cancer screening, like a mammogram, Pap test, or prostate exam, and do not have insurance or enough money to pay for medical care. Do you want your answers in English or Spanish? Are you looking for cancer care for a man or a woman? Show me services for men and women. Are you looking for cancer care for a veteran? Show me services for veterans and non-veterans. What is your question about cancer care? (Select one.) I want to be checked for cancer. Where do I go? I have been told I have cancer. Where do I go? Please answer all of these questions.